Lightspeed, one of the most prominent venture capital business has announced plans to launch a Crypto fund. This is a demonstration that the big whales are still interested in dipping their toes in the ever-expanding Cryptocurrency market. Lightspeed Venture Partners is the company behind Snap Inc. The Crypto market has continued to attract large companies in different industries as Lightspeed, a US-based venture capital company is set to launch a Crypto fund. The firm mainly focuses on financing different startups in technology and consumer space. The company has already set aside $1.8 billion that it is planning to invest various Crypto startups and other opportunities in the market. Lightspeed has a long history with startups since its inception. In 2017, while under the leadership of Jeremy Lew, the company became the first investor in a Snapchat seed round that was worth about $485,000 then. Snapchat has experienced tremendous growth since then and is estimated to be worth around $2 billion. It is believed that Lightspeed is one of the major earners on this social media network. In March this year, Lightspeed drafted a Securities and Exchange Commission (SEC) filling. The company planned to raise $1.8 billion from the firm’s investors. The company was able to raise the funds and is planning to carve out about $1.05 billion from the money raised. Lightspeed is doing this to ensure it has a separate fund that will be diverted in firms in more established industries. Lightspeed is also planning to enter the Asian market. The venture company will have several investments in the Cryptocurrency and other technology markets on the coast of Southeast Asia. Such investments will only help the company to enhance its revenue. Lightspeed has a long history of adequately funding startups in different markets. The company has helped about 17 businesses organize initial public offerings (IPOs) since 2013. Given the company’s track record, any Crypto business that will work with Lightspeed is guaranteed to do well. 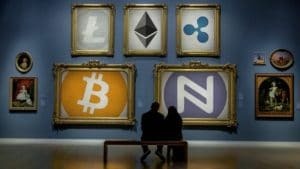 Although the Cryptocurrency market has been volatile, many investment firms have pumped a lot of money in the sector. This is a strong indication that the challenges the nascent industry is going through will not last forever. Moreover, it is a strong message to those pessimistic about the market that Cryptocurrencies are here to stay. The virtual currencies are about to go mainstream. Lightspeed is not the only venture company to join the Crypto market. Last month, Andreessen Horowitz, a prominent Silicon Valley venture capital announced the launching of its $300 million a16z Crypto fund. The company revealed that the fund will be used to finance Crypto startups, Cryptocurrencies, and ICOs. In addition, the venture firm said that this will be a long-term investment for the company. The recent influx of venture companies in the Crypto market will help in giving the virtual currencies and the entire industry legitimacy. Moreover, the entrance of these firms in the sector will help to address volatility, as it has been the biggest challenge so far. The decision by these prominent venture companies is an indicator that more companies are likely to join the Crypto market in the near future.